Kevin Durant has a busy off-season ahead of him. And while we doubt this will be “The Decision” 2.0, we’re excited to see if Durant decides to re-up with the Thunder after being just one game away from returning to the NBA Finals or chooses to a different route. 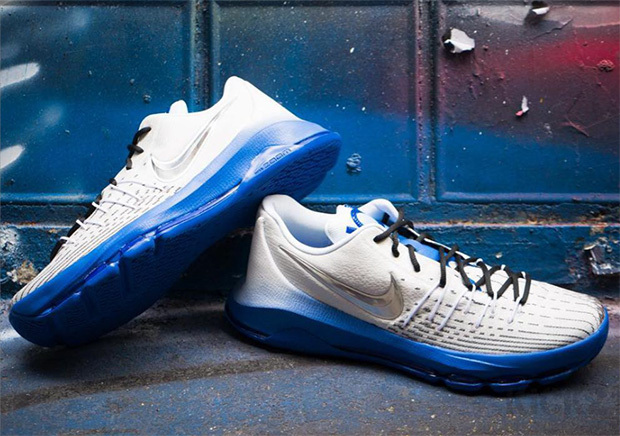 Nike Basketball is staying busy by showcasing a number of upcoming Nike KD 9 renditions complete with that awesome Flyknit construction with a significant price-cut to $150. While we wait for his latest signature to release, we’ll be getting a few more Nike KD 8 colorways like this “Uptempo” variety. The pair sports a clean white base with Metallic Silver accents, most notably found on the mirror-like bolstered Swoosh branding, while a gradient midsole sees a streak of Game Royal liven things up. 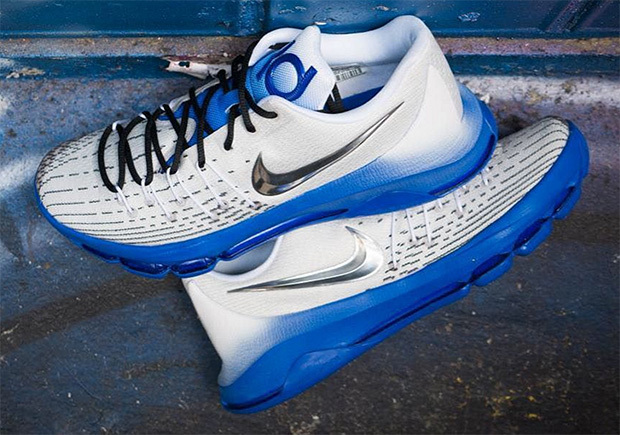 Stay tuned for a release date in the near future and let us know if you’re a fan of what could be the last retail KD 8 release by taking your thoughts to our comments section.